The Practice offers easy access and care to all able bodied and disabled patients. Ramp access from the entrance, hearing loops installed at the reception, wide corridors, clean internal clinic colours and excellent internal lighting offer full Disability Discrimination Act compliance which is important to allow patients access to the clinic. We were the first dental practices in Forth Valley to have a purpose built two room local decontamination unit (LDU) within the practice where we have invested in all the latest sterilisation equipment. 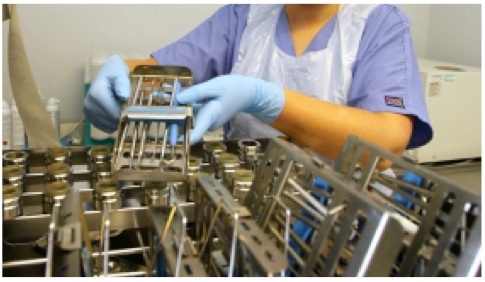 This allows all our instruments to be cleaned, sterilised, packaged and stored to the highest of standards. In the last survey carried out by Forth Valley Health Board The Practice attained the highest rating of all dental practices in the area, of which we are immensely proud.